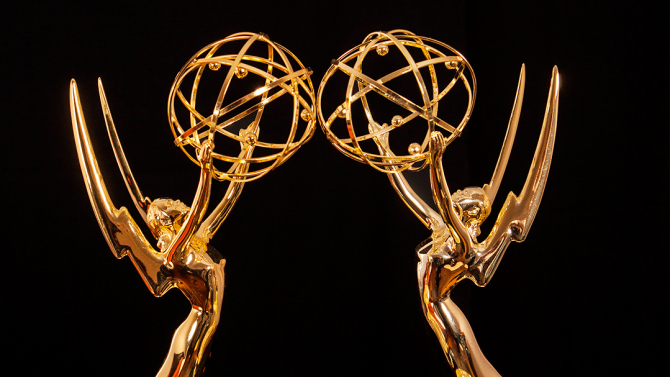 The Primetime Emmy awards will be televised live on NBC 8 p.m. Monday, Sept. 17. Last year, the Emmys expanded the number of nominees. Instead of five “outstanding” (“best”) shows in a category like drama, there were seven or eight nominated shows. Nominees in an acting category went from five up to eight. This “nominee inflation” helps explain why last year l had a larger than usual list of Jewish Emmy nominees. It also partially explains why relatively few Jewish nominees won last year — they had more competition. Here’s hoping that “the tribe” brings home more statues this year. Here are the Jewish nominees in the categories that will be presented at the primetime Emmy Awards. ACTING CATEGORIES. 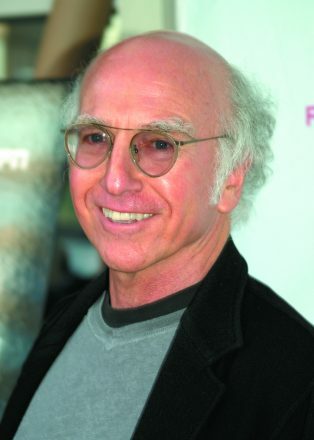 Lead Actor, comedy series: Larry David, 71, Curb Your Enthusiasm; Lead Actress, comedy series: Pamela Adlon, 52, Better Things, and Tracee Ellis Ross, 45, Black-ish; Lead Actress, drama series: Evan Rachel Wood, 30, Westworld; Supporting Actor, comedy series: Henry Winkler, 72, Barry; Supporting Actress, comedy series: Alex Borstein, 47, The Marvelous Mrs. Maisel; Supporting Actor, drama series: Mandy Patinkin, 65, Homeland; Supporting Actor, limited series/TV movie: Michael Stuhlbarg, 50, The Looming Tower; Supporting Actress, limited series/movie: Judith Light, 69, The Assassination of Gianni Versace: American Crime Story. About half these nominees have already won an Emmy Award. Those still looking for their first win are Ellis, Wood, Borstein and Stuhlbarg. Borstein, whose mother is a Hungarian Holocaust survivor, had some bad luck in 2000 when she was unable (due to a prior commitment) to take a starring role in Gilmore Girls. The role she had to pass on launched the career of actress Melissa McCarthy. 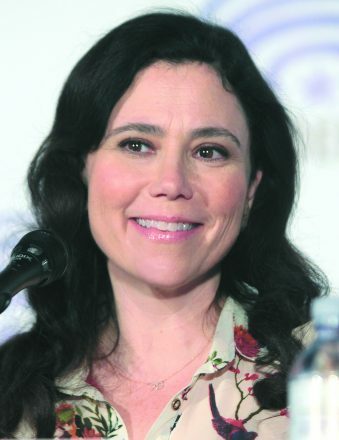 However, the creator of Gilmore Girls, Amy Sherman-Palldino, 52, liked Borstein and, after the first season of Gilmore, gave her small guest roles on the show. She thought of Borstein when she created Mrs. Maisel and gave her a juicy supporting part. Well, against all odds, this comedy about a “very” Jewish woman and her family has become the surprise hit of 2018 and Borstein is, as they say, sitting pretty. 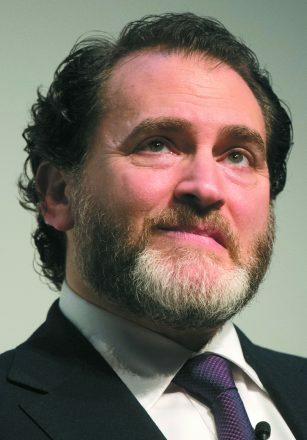 It’s ironic that Michael Stuhlbarg is nominated for playing a real non-Jewish character (Richard Clarke, a top George W. Bush security official). In the last decade, he has played a raft of fictional and real-life Jews without getting an Emmy or Oscar nomination (the real-life ones are gangster Arnold Rothstein, producer Lew Wasserman and New York Times editor Abe Rosenthal). Also nominated are non-Jewish thespians Tony Shalhoub (Best Supporting Actor, comedy) and Rachel Brosnahan (Best Lead Actress, comedy). 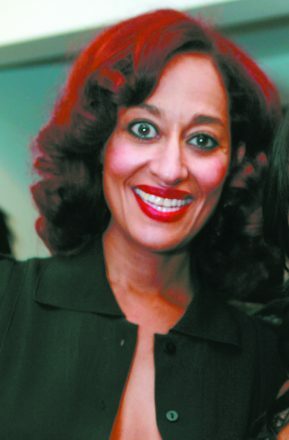 Brosnahan plays the title role in Mrs. Maisel. She explains that she could play a Jewish woman so authentically because she grew up in a heavily Jewish Chicago suburb and went to a “hundred bar/bat mitzvahs.” Shalhoub plays Abraham Weissman, Mrs. Maisel’s Jewish father. Shalhoub, who grew up in Green Bay, is of Lebanese Christian background, and this isn’t his first Jewish role. Lebanese/Syrian Christian actors, like (non-Jewish) Italian actors, seem to play Jews pretty well (I am thinking of Lebanese Christian Danny Thomas in the first remake of The Jazz Singer and Syrian Christian/Italian actor F. Murray Abraham in several Jewish roles). DIRECTING AND WRITING CATEGORIES: (Note: The writing and directing awards cite a specific episode, which I have omitted.) Director, comedy series: Jesse Peretz, 50, Glow, and Amy Sherman-Palladino, 52, Mrs. Maisel (she also created this series); Director, drama series: Jeremy Podewska, 55, Game of Thrones, and Daniel Sackheim, 60ish, Ozark; Director, variety special: Glenn Weiss, 60ish, The Oscars; Director, limited series/TV movie: Scott Frank, 58, Godless (he also wrote the series), Craig Zisk, 68, The Looming Tower, and Barry Levinson, 76, Paterno. Anthony Bourdain: Parts Unknown was nominated for Best Informational Series. 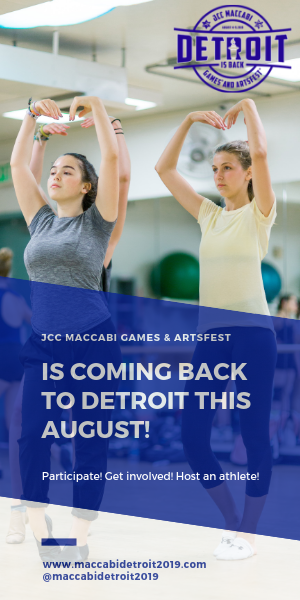 Peretz, as noted in a recent column, is the director of Juliet, Naked, a film now in local theaters. Also, as I’ve noted before, Frank had a pastor character recite what seemed to be a prayer in the last scene of the Western series Godless (the pastor was honoring people who died fighting for a righteous cause). Actually, the prayer was a poem (“Tis a Fearful Thing”) by Judah Ha-Levi (1075-1141), the famous Spanish Jewish physician, poet and philosopher. Writing, comedy series: Sherman-Palladinio, Mrs. Maisel; Writing, drama series: Joe Weisberg, 57, The Americans, Peter Morgan, 55, The Crown, and David Benioff and D.B. Weiss, both 47, Game of Thrones; Writing, limited series/TV movie: Scott Frank, Godless. This is a tough category to handicap. Game of Thrones is such a worldwide mega-hit that it is hard to see how Benioff and Weiss will be denied the Emmy. But Mrs. Maisel emerged from the relative obscurity of being on the Amazon streaming service via great writing and acting. Maisel had nothing like the budget of Thrones and no dragons. It’s a real Cinderella story. Still, I think Thrones will win. OUTSTANDING SERIES CATEGORIES: The Outstanding (or “best”) series awards go to the series’ principal producers, of whom there are many. 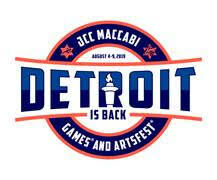 My practice is to list the “best of” series that have a Jewish creator or co-creator (who is usually a producer, too). Outstanding Comedy Series: Larry David, Curb Your Enthusiasm, Amy Sherman-Palladino, Mrs. Maisel, and John Altschuler, 55, with Dave Krinsky, 55, Silicon Valley. Outstanding Drama Series: Joe Weisberg, The Americans, Peter Morgan, The Crown, David Benioff with D.B. Weiss, Game of Thrones and Dan Fogelman, 39, This is Us. Outstanding Variety Sketch Series: Sarah Silverman, 47, I Love You America with Sarah Silverman, Carrie Brownstein, 43, Portlandia, and Lorne Michaels, 73, Saturday Night Live. Outstanding Limited Series: Noah Pink, 35ish, Genius: Picasso, and Scott Frank, Godless. The number of Emmy categories has grown so much that some categories formerly presented in “prime time” have been moved to the Creative Arts ceremony (which also includes technical categories.) The “Creatives” will be broadcast at 8 p.m. on cable station FXX on Sept. 15. Here are some of the notable Jewish “Creative” nominees. Outstanding TV movie: Jennifer Fox, 59 (writer), The Tale, and Debora Cahn, 47, (writer) Paterno. 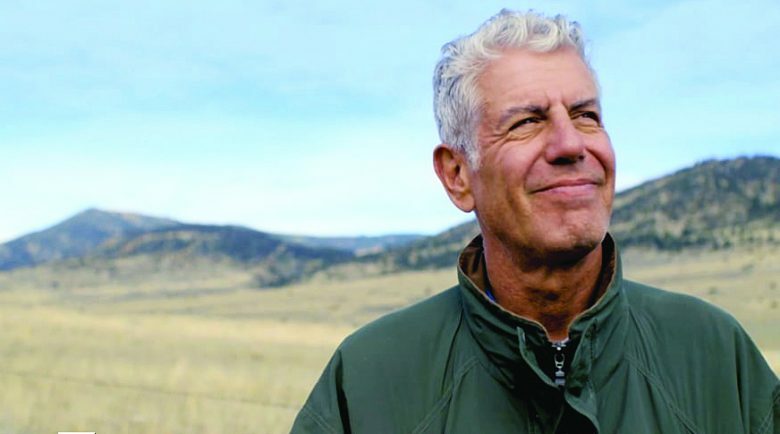 Outstanding Informational Series: the late Anthony Bourdain (whose mother was Jewish), Anthony Bourdain: Parts Unknown; Outstanding Documentary: Bryan Fogel, 50ish, Icarus, and Judd Apatow, 50, The Zen Diaries of Garry Shandling. Outstanding Guest Actress, comedy series: Tiffany Haddish, 38, Saturday Night Live and Maya Rudolph, 46, The Good Place. Outstanding Narrator: Carl Reiner, 96, If You’re Not in the Obits, Eat Breakfast, and Liev Schreiber, 50, 24/7.